Still I am in Vacation mood even after my India trip and we are slowly settling down with the normal routines. I really did not had idea of doing this months challenge. But this is truly last minute work and sudden plan which I started yesterday afternoon and finished late evening, the weather in Memphis is very hot that I was not able to handle cream. I didn’t even give the setting time for the dessert... Somehow managed to finish them in time as I did not do last 2 month challenges :(. Moreover I love Fraisier so I just don't want to miss this challenge and luckily strawberry was in the refrigerator . 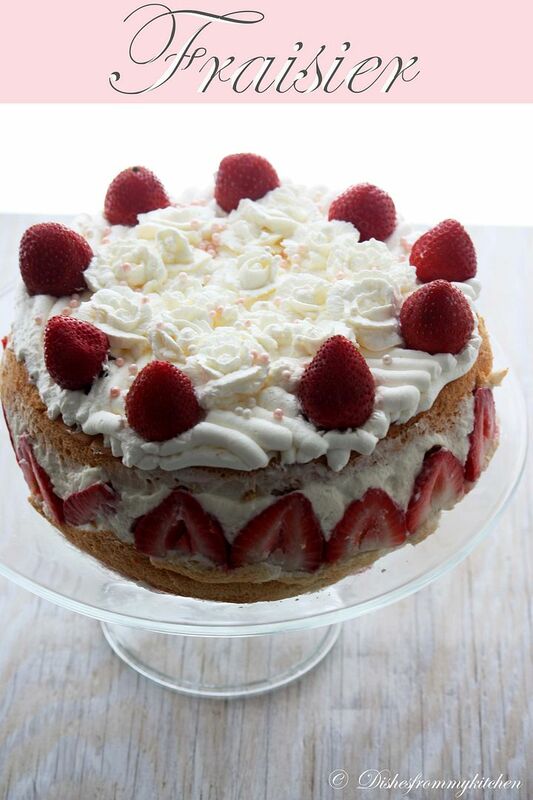 The recipe for the basic chiffon cake which Jana gave is sure a keeper. Thanks for the wonderful Challenge. I did not have marzipan in hand yesterday since I planned them to do suddenly. So I made the whipped cream roses on the top. Blog-checking lines: Jana of Cherry Tea Cakes was our July Daring Bakers’ host and she challenges us to make Fresh Frasiers inspired by recipes written by Elisabeth M. Prueitt and Chad Robertson in the beautiful cookbook Tartine. 7. Using a grease free rubber spatula, scoop about ? of the whites into the yolk mixture and fold in gently. Gently fold in the remaining whites just until combined. 8. Pour the batter into the prepared pan. Bake for 45 to 55 minutes or until toothpick inserted into the center comes out clean. 10. To unmold, run a knife around the sides to loosen the cake from the pan and remove the spring form sides. Invert the cake and peel off the parchment paper. Refrigerate for up to four days. 12. Heat the cream until it is 120 F (48.8 C). Add the gelatin and whisk until smooth. Remove from the water bath, and whisk the remaining cold pastry cream in to incorporate in two batches. 13. In a stand mixer, fitted with the whisk attachment, whip the cream until it holds medium-stiff peaks. Immediately fold the whipped cream into the pastry cream with a rubber spatula. 2. Bring the mixture to a boil and let the sugar dissolve. Stirring is not necessary, but will not harm the syrup. 4. Transfer syrup to a lidded container or jar that can be stored in the refrigerator. Simple syrup can be stored for up to one month. 6. Hull and quarter your remaining strawberries and place them in the middle of the cake. Cover the strawberries and entirely with the all but 1 tbsp. (15 ml) of the pastry cream. 8. Lightly dust a work surface with confectioners' sugar and roll out the almond paste to a 10-inch (25 cm) round 1/16 inch (1.5 mm) thick. Spread the remaining 1 tablespoon (15 ml) of pastry cream on the top of the cake and cover with the round of almond paste. You have excelled Pavithra. Clicks are just too good. 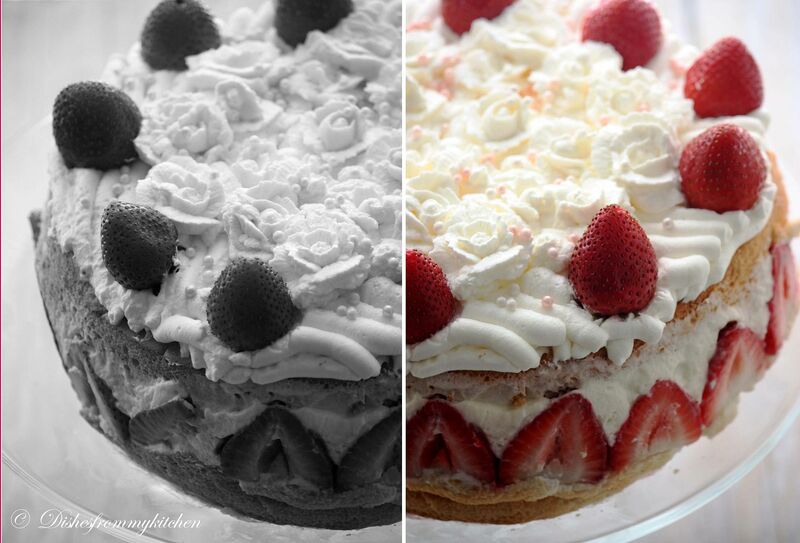 You are just back from vacation and whipped up this luscious and pretty looking dessert. You are awesome Pavi. Loved the pics and the recipe. what a gorgeous cake! great job! As always gorgeous presentation, Yumm! Yumm! Oohh..am coming there Pavi ~ The cake is a stunner, very very hard to resist.Wonderful n rocking presentation as always n really glad to see you back dear :)Hope you had a fun filled trip! good 2 c u doing this month's DB's challenge...that looks stunning...worth the effort..
cake looks so lavish and delicious. Excellent preparation. such a beautiful looking desssert. gorgeous and head turner. I loved this months challenge, yours look so so good. what a gorgeous cake! great job dear! your cake is beautiful! love the roses and sugar pearls! great job on the challenge! Pavi this is just BEAUTIFUL!!! Amazing...Loved those roses,pearls, strawberry cream and everything...Lovely!! wow, what an amazing looking cake. Great job dear. Wow, if this is your "last minute" accomplishment, I wonder what you would have done if you had more time! Amazing work, it looks delicious! Wow - it looks beautiful and so delicious. oh I am out of words to describe this presentation and picture. This is out of world. The intricate work on the cream is Awesome. Yet another excellent presentation from a specialist. Keep it going. Wow, I wish that dishes that I made "last minute" turned out that beautiful! You really did a wonderful job! This is fabulous! Mine is still in the fridge ..
the presentation and photography are amazing. cake looks so yummy. it is so detailed. wow! !perfect n creamy cake! !lovely click! Cake looks grt.oh i so miss participating in DBs...continue the grt work! Last minute looks fantastic - bet it tasted delicious too. 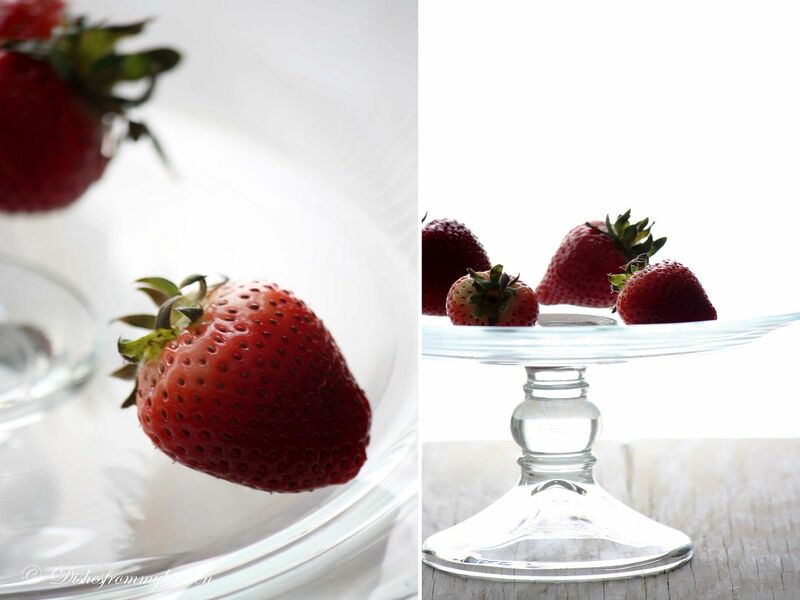 Looks so delicious...the strawberries look luscious! Great job on this month's challenge! Wow, looks beautiful :) I love the whipped cream roses. Never knew about the whipped cream roses and thought they can be made only with butter cream. Great job! Wow .. looks terrific .. love the pictures too. Looks so good Pavithra !!! You have done an excellent job. Nice nice frasier. I loved the b/w and color versions side by side. Great idea to top with cream. I felt mine needed it! 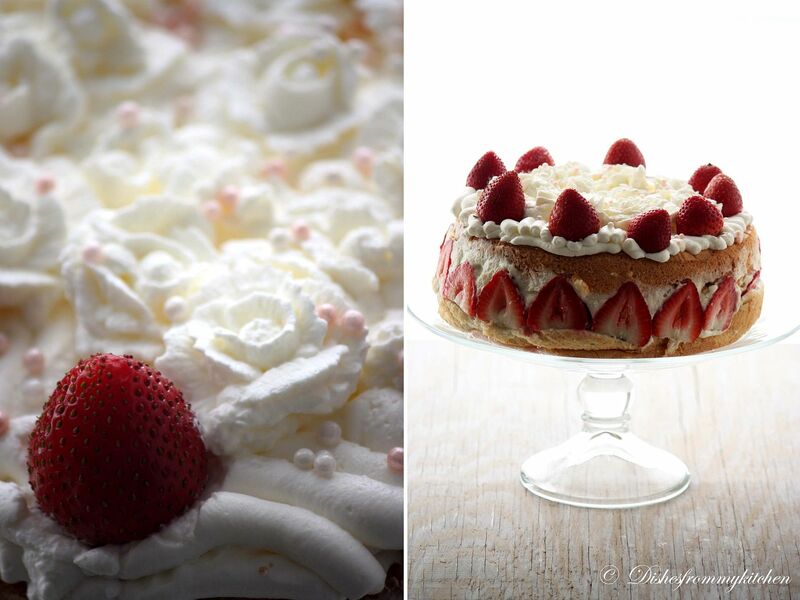 Gorgeous pics...the pristine whipped cream and the strawberries makes it stunning. Waow! 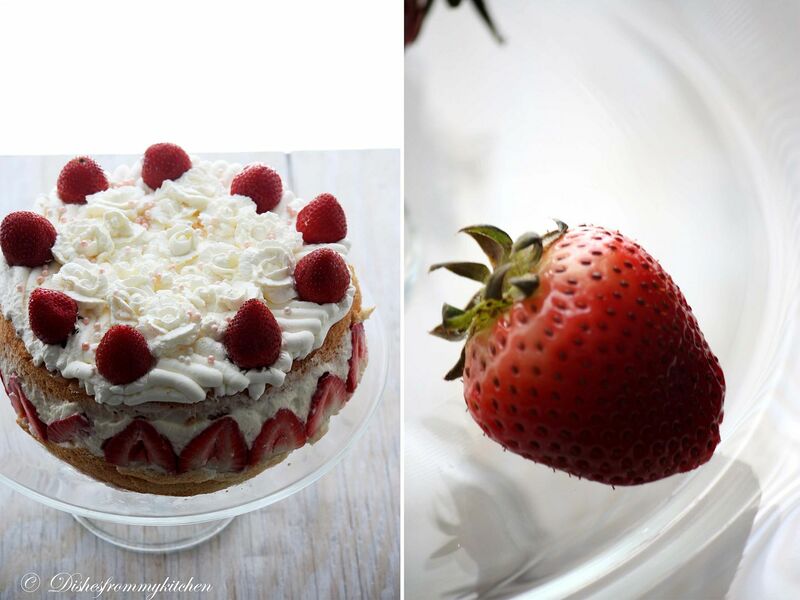 Your fraisier looks stunning! This was an awesome challenge and you did it so well! wow pavi supera iruku!! !u always rock!! Terrific cake. Its beautiful. Cannot take my eyes off it.